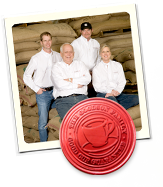 Since the 1880s, Goodson Bros. has been committed to the tradition of getting the perfect cup of coffee for the customer, signifying our passion, our dedication to being the premier contract roaster in North America. Log into your wholesale, private label, or retail account here. Request a wholesale account online. Make us your contract roaster or private label packager. Leave your comment here (optional). ©2019 Goodson Brothers Coffee Company, Inc. Website designed and developed by Designsensory.